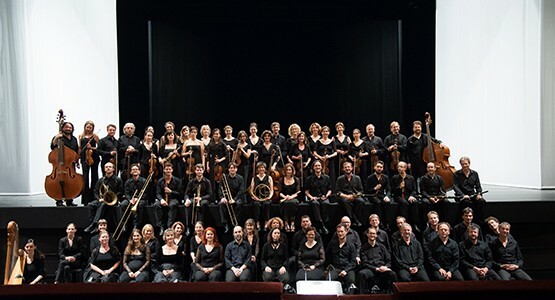 The prestigious German team Balthasar Neumann, formed by orchestra and choir, returns this month to our country, along with its founder and director Thomas Hengelbrock, to offer two concerts on 27 Y 28 from January, in the Symphony Hall of the National Auditorium (Cycle "Baroque Universe" - CNDM), and the Palau de la Música Catalana. After his recent visit to major international venues such as the Konzerthaus Baden-Baden, Konzerthaus Berlin, Dortmund Concert Hall, BOZ de Bruselas, or Megaron Athens, among other, Choir and Orchestra Balthasar Neumann arrive in Madrid and Barcelona, with an interesting program on lecterns: the Missa superba de Johann Kaspar Kerll (1627-1693), Saxon composer and organist who developed his career in Munich and Vienna, y el célebre Requiem Mozart, in the version completed by Süssmayr. The path of Balthasar Neumann Chor & Ensemble, known for its high quality musical, and artistic versatility with a repertoire ranging from early baroque to contemporary music, It has been recognized with numerous awards, among others, varios Echos, he Culture Award of Baden-Württemberg, and the Gramophone Award. Among the most immediate projects of Balthasar Neumann Chor & Ensemble junto a Thomas Hengelbrock, destacan los conciertos que ofrecerán en destacadas salas de Dortmund, Colonia, Luxembourg and Bologna, and opera Iphigenia in Tauris Gluck, with Robert Carsen production, en el Theater des Champs Elysees París.